Before email was a fact of life, a business card or letterhead served to showcase a person’s professional or personal brand. Now, your email signature has to deliver that payload. Is yours doing the job? The average worker sends about . That’s two hundred emails in a typical work week, and a whopping 10,400 per year. Each email is an opportunity to share a little information that helps build recognition and trust. And when you have a good signature, you can promote yourself, your services, the company you work for, or all of the above. Your signature doesn’t need to be flashy to be effective. In fact, the best email signature is often simple. Here are a few do’s and don’ts. Do keep it short. Use no more than 3-4 lines of text. Don’t throw in the kitchen sink. Prioritize rather than including every social media or website link. Do include an image. Your corporate logo or a simple, professional headshot can add authority and build trust. Don’t include your email address. Although it seems like a no-brainer, lots of people add their email address to their signature unnecessarily. Do be careful with information. You don’t want everyone you email to have your mobile phone number. Don’t promote a personal agenda with a work email signature. Sure, you’re proud of your cat’s Instagram. But it’s not related to your professional life, so it doesn’t belong in your professional signature. Do use color. Match the color scheme and typeface to your company’s marketing materials. Don’t go font-crazy or use animated gifs. Two fonts, max. No flashy blinky things, please. Do optimize for mobile. Send yourself a test email and check your signature on your mobile device to make sure it looks good. Here’s a tip: Does your company require any legal disclaimers or privacy addendums? It’s always a good idea to consult your employee manual or consult with HR to make sure that your work signature is in compliance. Here’s how to set up your email signature manually in different email platforms. Signature generators let you create a dazzling signature with a few clicks and keystrokes. A drawback to using them is that most will require you to populate the email address field, hence adding your email address to your signature (redundantly so) whether you like it or not. They’ll also include a bit of their own marketing, such as “Get your own free email signature here,” with a link to their product. You’ll have to weigh the benefits of having a robust, attractive signature against the downsides of including extraneous info. HubSpot offers a signature creator that lets you play with layout and colors and add an image. You’ll also be able to include social media links, certifications, and a call-to-action. You’ll have to include your email address and phone number to use this signature generator, and HubSpot will also prompt you to answer a few questions about your company. This signature creator allows you to include a logo, banner, social media links, and even a company disclaimer. As with HubSpot, it will make you populate the email address field. It will also add a bit of promotional language in tiny text below your sig. Bonus: If you share Exclaimer on your social channels, they’ll remove the branding from your signature. Score! WiseStamp puts a lot of signature-generating power at your fingertips. Use it wisely. (With great power comes great responsibility, after all.) You can do anything from requesting support for a charity to showing off your latest YouTube video. Just make sure your signature remains professional and doesn’t get overloaded with too much (or work-inappropriate) information. You can upgrade to a monthly plan to get even more options and remove the company’s branding from your signature. Here are some ways to use signatures to leave a lasting impression. Keep it simple, silly! Often, your name, title, company, and info are all your business context need. When that’s the case, a simple signature like this one will do the trick. If you want to boost either your company’s or your personal professional brand, include your top social media links in your signature. Every newsletter subscriber is a potential lead or . Collect them when you can! 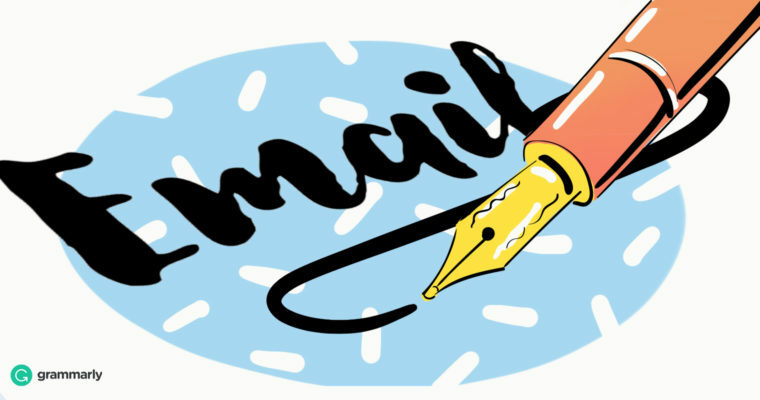 Adding a newsletter subscription link to your signature will help. Sometimes plain and simple is the best option. There’s nothing wrong with a text signature. In fact, it’s an easy, mobile-friendly format. Don’t be afraid to get a little creative. Just make sure to choose one or two angles that will do the most for your business or personal brand. The goal is to make it easy for your to interact with your signature, not to slam them with a wall of links and social icons. No matter how you use your signature, keep it clear and concise to make the best closing statement.